It is a line of surgery and treatment involving the musculoskeletal system and entail; degenerative conditions, trauma, sport injury, tumors and congenital issues. The main part of orthopedics is a surgical operation. Last but not least hip replacement. Get a Free Consultation With an Orthopaedics Centre? 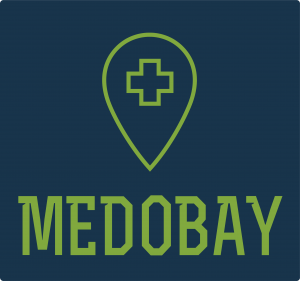 Why MEDOBAY suggests you perform orthopaedic surgeries in Iran? If you need orthopaedic Surgery, you have come to the right place. MEDOBAY will help you save thousands of dollars by giving you the best offer for your surgery in Iran. Not all countries and hospitals are of the same quality or standards. We can help you have a better experience by guiding you to the best hospital for your procedure and budget. For instance, Anesthesia typically costs between €2,500 and €4,000 for orthopaedic procedures in the USA. surgical planning session. Some allow this fee to be applied to your surgery if you choose to move forward. Typical costs: For patients without health insurance, a total hip replacement usually will cost between $31,839 and $44,816, with an average cost of $39,299, according to Blue Cross Blue Shield of North Carolina. However, some medical facilities offer uninsured discounts. Prices are obviously lower in Iran and knee replacement, hip replacement and ACL or MCL repair would cost in the region of 1000-2000 USD. Thus, according to the costs, it is reasonable to consider Iran as a centre to perform surgical operations with high quality and excellent price. Employed to treat problems occurring inside the joint using an arthroscope. For torn ligaments and tendons. In which a preexistent implant is changed with a new one. Performed when broken pieces of bone are repositioned using metal plates, screws or pins. Here are the most common body areas where orthopaedic surgery may be performed. Wrists. The most common wrist surgeries are for the release of the carpal tunnel or the fracture of the distal radius. Most orthopaedic surgeries are either performed traditionally or through the use of an arthroscope. There are some occasions where open surgery is needed, but the majority fall into these two categories. Traditional surgery is more invasive and often comes with considerably longer recovery times compared to arthroscopic procedures as incisions are made to parts of the body involved.